My Earth My Duty (MEMD) movement kicked-off with its final phase of tree plantation drive in more than 2.5 lakh villages across the length & breadth of the country. Over 1 crore volunteers helped people plant more than 60 lakh saplings. Former Cricketer Kapil Dev, Neha Hinge-Miss India, Asia Pacific and several environmentalists from across the nation came forward in this initiative and motivated the youth to do the same. 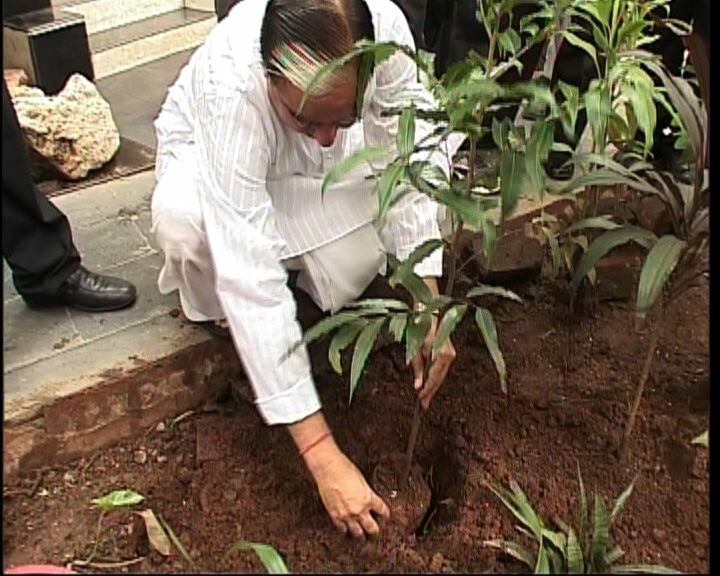 However, the MEMD campaign got its biggest boost when Essel Group's Chairman, Shri Subhash Chandraji himself came out and planted a sapling as a part of the initiative. Sharing his views on the initiative Chairman said, "It's a good initiative undertaken by Zee News and I congratulate them for the same. They have motivated people to come forward and plant a tree. Normally, as human beings we always end up injuring the environment in someway or the other, but this initiative of planting more than 60 lakh trees is a Movement in itself, which will go on to save the environment to a great extend." Through this tree plantation drive Zee News covered more than 20 cities like Mumbai, Delhi, Hyderabad, Bangalore, Mount Abu, Shimla to remote areas like Tumkur (which is 80kms from Bangalore) and Mancherial (which is 8hours from Hyderabad), thus covering a blend of Urban and Rural areas. The campaign received tremendous response from the masses in the form of rallies, painting competitions, tree plantation and other activities carried out by all centres. The campaign which was almost like a mega movement, was a huge success reaching out to millions of people, requesting them to come forward & contribute in this noble cause. The project which was action-oriented and one-of-its-kind campaign had a lot of youth organisations participating in it and masses were motivated towards their responsibility of MY EARTH MY DUTY. Through this initiative, everyone pledged not only to plant a tree but also to save the environment in every way possible.